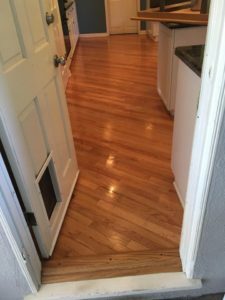 In Pacific Palisades we refinished this kitchen floor with three coats of Neutral Duraseal. Your kitchen is an area of your house that probably get more use than most other parts of your home. I’m sure you agree that after years of use just refinishing makes this floor look new again. 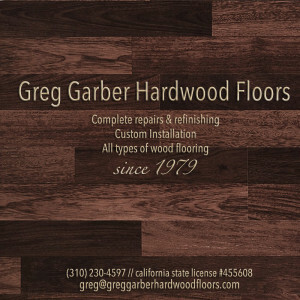 This second picture is a floor we installed “twenty” years ago. 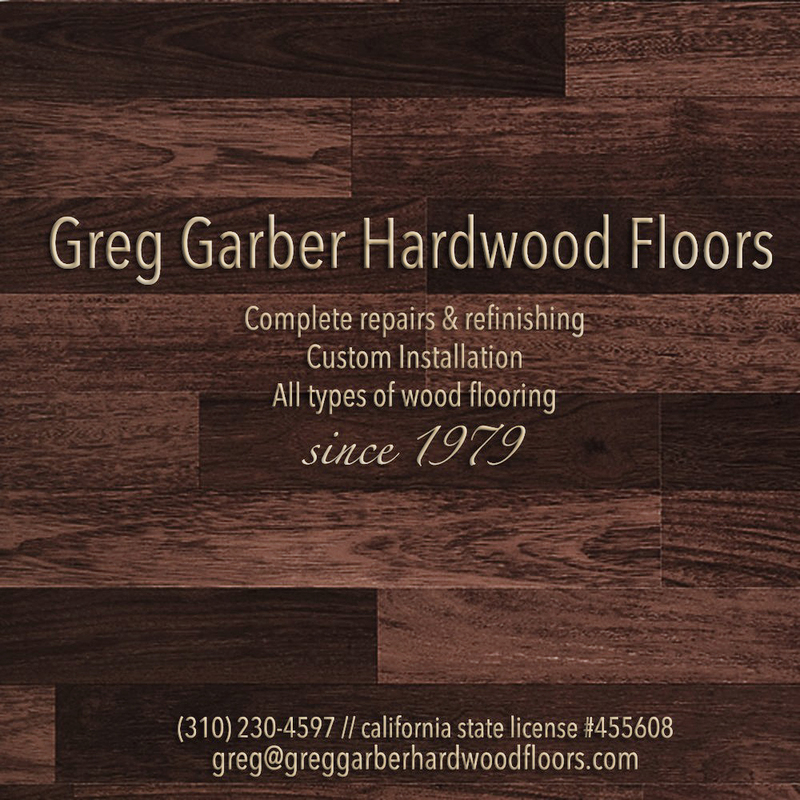 Recently we were called in to give the floor a fresh look. 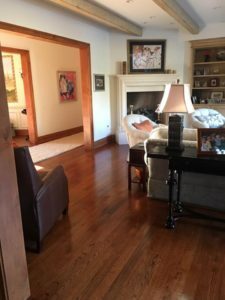 This was accomplished when we refinished the floor with Rosewood Duraseal. 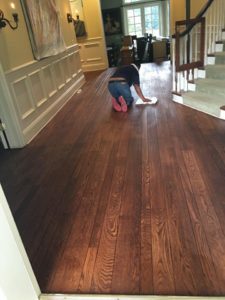 This last example shows you a picture of when you choose the right product and the right contractor how cost effective hardwood floors can be. 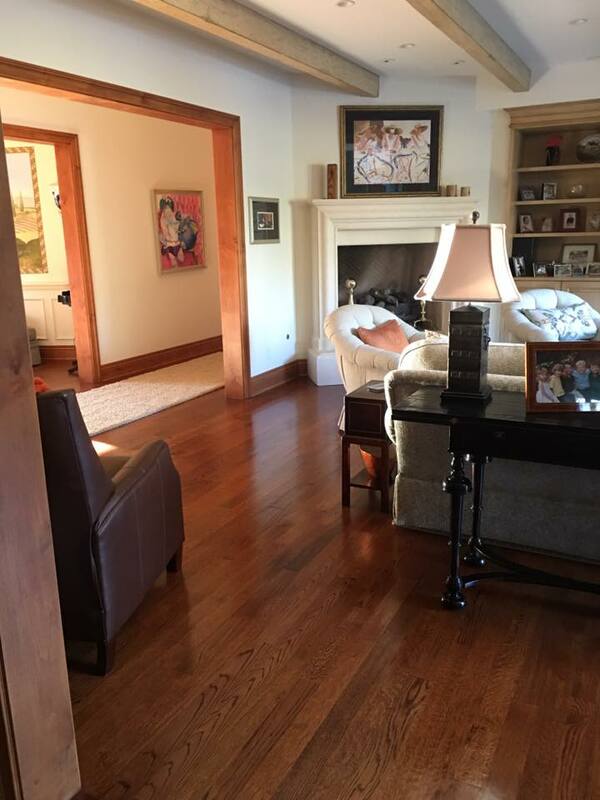 These pictures are of a home in Brentwood Park that 10 years ago we installed, hand distressed and custom finished. They still look beautiful as if we just completed this installation. Not into calling, not a problem. The contact form below is for you.